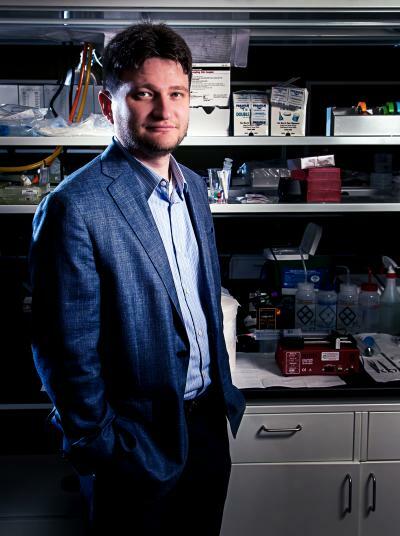 University of Houston (UH) biomedical engineer Sergey Shevkoplyas is working on development of a highly innovative technology that would make blood transfusions safer. Dr. Shevkoplyas’ work is being partly funded by a $1.8 million grant from the National Institutes of Health (NIH). The NIH has given Dr. Shevkoplyas an NIH Directors Transformative Research Award to develop a simple device to separate healthy, well-preserved red blood cells from all the other material in the blood bag just before transfusion. Such grants support high-risk/high-reward projects with potentially transformative impacts. The $1.8 million award was originally given in 2012 while dr. Shevkoplyas was at Tulane University and the remaining $1.5 million was recently transferred to UH. The good news about blood transfusions is that they save millions of lives every year, having become one of modern medicine’s absolute necessities. Without transfusions, for example, many routine surgeries would be life threatening. However the bad news is that strong evidence indicates that transfusions of red blood cells stored in a refrigerator for prolonged periods of time can be dangerous or even deadly for some patients. One problem with transfusions is that transfused patients get more than just healthy, well-preserved red blood cells, but also a number of potentially harmful materials, including the anticoagulant-preservative solution that keeps the blood cells alive during storage, as well as cells that have been irreparably damaged by processing the blood after donation and during storage. Additional non-beneficial materials include the remnants of burst cells, including free hemoglobin and microparticles that can contribute to inflammation and formation of blood clots, as well as the byproducts of cellular metabolism, which is essentially cellular waste. 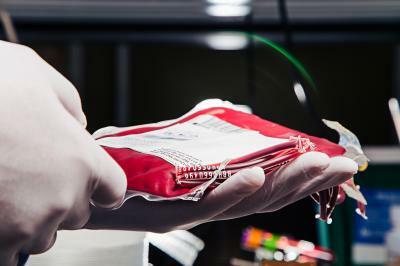 The longer blood is in storage, the more these potentially harmful materials build up. Dr. Shevkoplyas is working under an NIH Director’s Transformative Research Award to develop a simple device to separate healthy, well-preserved red blood cells from all the other material in the blood bag just before transfusion. Such grants support high-risk/high-reward projects with potentially transformative impacts. A UH release notes that the system Dr. Shevkoplyas is developing will consist of two tubes that feed into a plastic device just a few inches in size. One tube will send blood into the device, while another will send saline solution. In the first step, the saline will wash harmful particles and the storage solution off the healthy red blood cells. Next, the entire mixture will be sent through an array of precisely designed microfluidic channels, where the shape, size and flexibility of healthy red blood cells will allow them to be separated from the particles, damaged cells and storage solution. At that point, the healthy red blood cells, along with saline acting as a transport medium, can be transfused safely into the patient. Dr. Shevkoplyas emphasizes this will be no easy task, since microfluidic research usually involves fluids flowing through channels measuring less than a millimeter, with devices that can handle just a few drops per hour. With its series of interconnected channels, Shevkoplyas’ device aims to scale these microfluidic interactions up a thousandfold. While Dr. Shevkoplyas’ system faces significant scientific and engineering hurdles, one of its biggest advantages is just how practical it is. The materials he will use to build the device, like the saline solution, are already approved by the U.S. Food and Drug Administration. This significantly reduces the burden for regulatory approvals, which should help keep the cost of the system at around $50 and allow it to come to market sooner. Additionally, health care systems worldwide already have invested billions of dollars into existing blood storage and transfusion practices. Using the device Shevkoplyas plans to create won’t require any significant changes to these practices. Instead, the small, disposable device would be placed between the blood bag and the patient during transfusion, completely at the discretion of the patient’s care team. Together, these features make it much more likely that Dr. Shevkoplyas’ device will move from the lab to clinical use, where it can have a positive impact on patient health. The UH Cullen College of Engineering, established in 1941, is accredited by the Engineering Accreditation Commission of ABET. More than 4,600 students are enrolled in engineering courses 3,536 undergraduates, as well as 817 master’s and doctoral students in biomedical, chemical, civil, computer, electrical, environmental, geosensing systems, industrial, mechanical and petroleum engineering. The college also offers interdisciplinary graduate programs in subsea, aerospace, materials, and computer and systems engineering. Chemical and mechanical engineering have ranked among the top programs nationally.